It happened! And it was beautiful! We pulled and we celebrated and we burnt the horse! Thanks for all the support to the crew and the volunteers and all Burners!! Trojan Horse Final Update and Call for Volunteers! The Beast burns in six days! Our 50′ tall, 28-ton beast now stands proud on the playa. The Gates of Troy are built and strung with lights. At five stories high, Troy Camp’s main building, Olympus, is climbing right up to the sky. Soon Jordan Betten will begin painting his 2,500 sq. ft. mural depicting events from the Trojan War upon it. When Burning Man opens on Monday, we’ll be ready to amaze and delight you with what we have wrought, and you can watch Jordan finish his work. Our final Kickstarter campaign ends Sunday at 10:00 PM PDT. We need some help to make the finish line and hope we’re not beating a dead horse by asking you to pony up some cash for lighting and pyrotechnics. Pyro Jack Schroll and Black Rock FX are pulling out all the stops when they incinerate the beast. C’mon, baby, light our fire! We are still looking for a variety of volunteers! Including Videographers to film, especially during Friday’s Grand Procession, but also during the week leading up to the burning of the horse. We need Sky Divers, Paragliders, and Pilots to capture the procession from the air. We need Slaves to help pull the beast. We are recruiting Brass Players, individually and as ensembles to perform the march and processional composed for this event. We need Greek and Trojan Soldiers to actually work security. If you have an absolute passion to play a Greek God or Goddess, a Satyr/Faun, or other role appropriate to our Greek theme, please tell us. We’re also looking for people to Help Make Costumes at our Greek Boutique in Troy Camp. And then we need folks staying until Monday to help with the post-burn clean up and exodus. Interested in helping with our Playa publicity? We need Oracles, Heralds of King Priam, and several incarnations of Hermes, the messenger of the gods, to spread the word about the horse. Apply at Troy Camp, 7:00 and C, when you get to BRC. Volunteer briefings will be held at noon, Monday through Friday. Can you believe the Beast burns in 6 days! Melissa Ryan has been like “My Little Pony” to the Trojan Horse. Until the Horse was packed up for the playa, she would gallop to NIMBY after a hard day’s work, eager to play with the boyz and their power toys. She grew up in Rhode Island, a state roughy equal in size to BRC. Despite coming from the smallest state in the Union and being all of five feet tall, Melissa measures up to monumental tasks and excels at pushing herself to great heights. She earned her BSW in Boston and MSW at New York University and has been fiercely committed to her career in social work, assisting abused children and families with special needs. It’s not easy work. She’s had to physically restrain children much bigger than she. She’s worked in a psychiatric hospital in New York City and was a therapist then Clinical Director for a teen group home. For the past 12 years, she’s been an Adoptions Social Worker for Alameda County, California..
Melissa moved to San Francisco in 1991 and has thrived on the West Side. She loves being able to camp year round, walk along beaches, ski superior slopes, attend free concerts in Golden Gate Park, enjoy the cultural diversity of the Bay Area, and all of the opportunities to do new and exciting things it offers, such as the Trojan Horse. At NIMBY, she’d eagerly climb any triangle and dangle at every ledge with a power tool slung on her shoulder and a gleeful smile on her face. What she lacked in knowledge and skill she made up with a willingness to learn and desire to work harder than three men. An unexpected joy for Melissa was the camaraderie, the incredible bonding experience she felt while building the Horse. 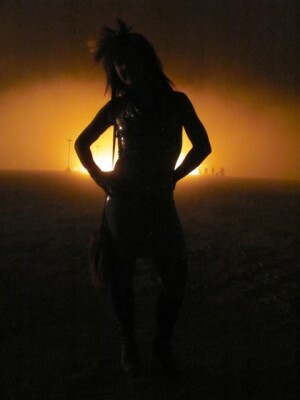 A devoted pyro, she can’t wait to see the beast she helped to build burn. We got an offer from Jeff Mincey, the co-owner of a costume store in Reno called The Menagerie. The owners are all Burners and this will be their fifth burn. They have two dozen Greek/Roman costumes that they will sell waaaay cheap to Burners participating in the Trojan Horse Project. They will also have slave togas to sell at their store for just a bit over cost. And all profits from these sales will go into more togas for the playa. The more sales, the more extras they can provide to members of the community who didn’t manage to make any for themselves. Sounds like a great idea to us. In addition, we are looking for folks to help with our Greek Boutique that will be located within Troy on the Playa. 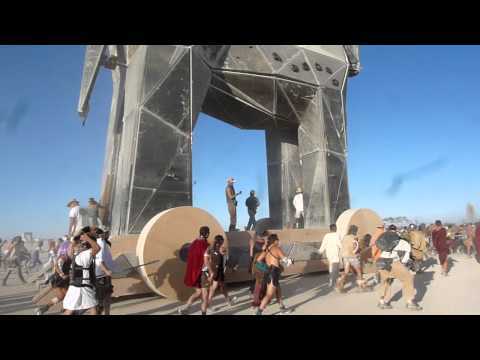 Undoubtedly the re will be a few Burners who reach Black Rock City who have never heard of the Trojan Horse Project and who want to participate. To properly clothe these folks we are bringing yards of material, sewing supplies, ready-to-wear Greek costumes, and various props. If you would like to help us costume our newly recruited players, respond to the casting call and state your intention. Beth Brewer, the Boutique Manager will contact you. 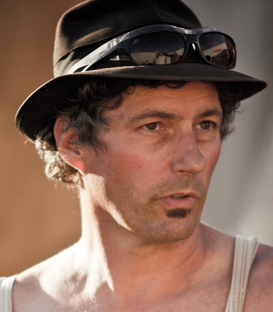 Dan Fox, our nimble-witted, generous, dark-humoured, handsome hero in Oakland, is the Trojan Horse’s Construction Coordinator. He was raised in California’s Central Valley and is a 25-year Oakland resident. Dan has been a journeyman carpenter, a professional musician and songwriter, a computer programmer, an acrylic on canvas impressionist artist, and a land acquisition underwriter/analyst for two Fortune 500 developers and a British-American conglomerate. He holds a BA in Environmental Studies, has presented to the Association of American Geographers, and conducts an annual seminar on infill development in the Bay Area. He spends his free time landscaping his property in Bodega Bay and researching/studying exoplanet discoveries, creating Google KML scripts to render his findings. Dan enjoys traveling whenever possible, especially to visit his family in Catalunia, Spain. He has a par ticular fondness for Spanish/Arabic-influenced music and a beautiful lyric tenor voice but prefers singing in the manner of Captain Beefheart and Tom Waits. This will be his fifth trip back home to the playa. Thanks Dan. We hope you know how much we all love you!! WHERE: at the Horse, 8:15 and Esplanade. WHERE: on the Playa, location tbd (you won’t miss the horse!). 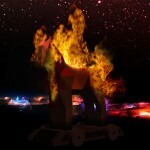 The horse burns at midnight. Fireworks by Black Rock FX, Flaming Arrows, and Dionysus Reigns! More info here. 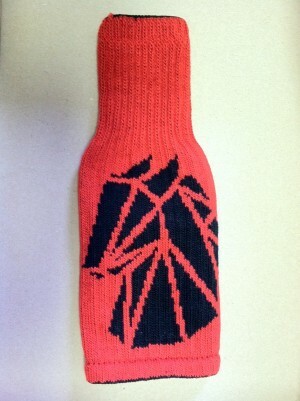 The first sample of our Trojan Horse Freaker!!! 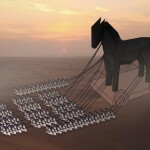 A first image of our Trojan Horse Freaker just came in!! You want one too? You can! Just support us on Kickstarter!